This piece, by Jen Algire and Elina Alterman, is a response to PACE’s recent report: “Youth Civic Engagement for Health Equity and Community Safety: How Funders Can Embrace the Power of Young People to Advance Healthier, Safer Communities for All.” To read the full report and learn more about PACE’s Health and Safety initiative, click here. This is possibly the most over used, yet under acted upon sentiment in American life. If we truly believe children are the future, then surely it behooves us to take seriously the concerns, observations, and ideas that activate our youth and keep them engaged in public life. Yet, more often than not, communities — and more specifically, those with power and privilege, such as policymakers and philanthropy — do not take youth voices seriously relative to public space, community safety, health, and even education. PACE’s new report: “Youth Civic Engagement for Health Equity and Community Safety: How Funders Can Embrace the Power of Young People to Advance Healthier, Safer Communities for All,” makes the case for the importance of youth as partners in community health and safety efforts, and outlines how youth voice can be mobilized effectively. The report also makes a case for why funders should embrace investments in youth civic engagement. We could not agree more. Our own experience in funding youth civic engagement work certainly supports the findings from this report. Youth do things differently. That is the point. If philanthropy is serious about equity, we must provide a path for meaningful engagement that trains youth to dismantle the structures that have maintained inequities in health and safety including housing, education, wealth accumulation, and electoral power. Funding strategies with long lead times, including the social determinants of health, are increasingly common. Both the Greater Clark Foundation and the Kansas Health Foundation utilize these strategies. In our experience, for these funders, investing in youth civic engagement can be a particularly effective strategy. Investments in youth yield positive returns over a longer period and on a more consistent basis because young people master the tools of effective democratic practice earlier and can deploy these tools over a longer lifespan. Furthermore, while many of the examples in the report highlight youth engagement in urban areas with well-developed nonprofit infrastructure, we can point to successful investments in rural and less populated states, including in our own states of Kentucky and Kansas respectively. With many rural communities battling population decline and the loss of young people, meaningful youth engagement can be an powerful strategy to help retain the best and brightest as well as instilling civic commitment and leadership that brings youth back to their communities in adulthood. One such example comes from Kentucky’s Prichard Committee Student Voice Team (SVT), which consists of approximately 100 self-selected students, elementary school through college, from across the Commonwealth who work to integrate students as partners to improve Kentucky schools. 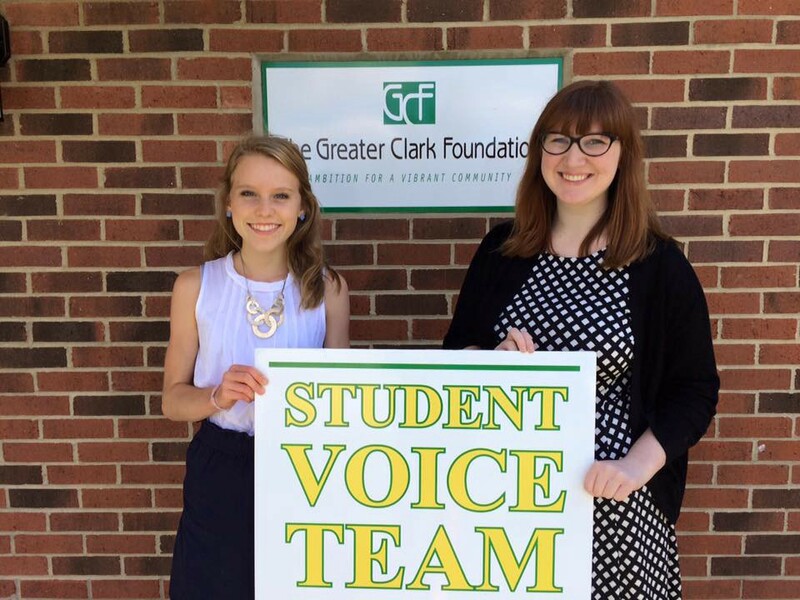 With early support from The Greater Clark Foundation, SVT has been developing and testing student-led school climate audits. The audits involve student-designed surveys disseminated to students, teachers, and parents; focus groups; site-visits; and a share-back session in which the team presents findings to students and teachers to prompt them to consider ways to improve the learning environment for those who may feel least connected to it. SVT has conducted audits independently in four geographically diverse schools in Kentucky and is now delivering training workshops so that students can lead the work in their own schools. In the wake of the Marshall County, KY and Parkland, FL shootings last year, SVT held a statewide teach-in and rally on the Capitol steps which drew a wide intergenerational audience from across the state. They used the events to articulate a narrative that connected the need to make schools safer with the idea that attention to school climate and social and emotional well-being are also essential. The group drew on academic research plus student feedback from the audits to make their case and shape the narrative, as evidenced by several op-eds published in all of the state’s major newspapers. SVT also testified before Betsy Devos’ Federal School Safety Commission using similar language. Finally, the team weighed in when a local property tax bill came up for consideration to take an approach to school safety that lent itself to a broader discussion about school climate. This groundwork led to a recent legislative victory. SVT was asked to place a student on the School Safety Working Group with legislators seeking to create a bipartisan framework for addressing Kentucky’s safety concerns. The savvy and confident SVT representative — a high school junior — worked side-by-side with legislators, ensuring student voices were always present over the course of the 8-month listening tour, including ensuring students were formally testifying before the committee. The result was SB 1, which passed its final reading in the Senate on February 28, 2019 after accepting a critical House amendment that was a behind-the-scenes nod to SVT’s work: a stipulation that students are represented when individual, required school safety plans are developed. Philanthropy is, first and foremost, a service profession. We exist to serve our grantees and communities and we’ll know we have succeeded if we can work ourselves out of a job. It is for this reason that philanthropy emphasizes sustainability. There is nothing that ensures sustainability more than youth civic engagement. 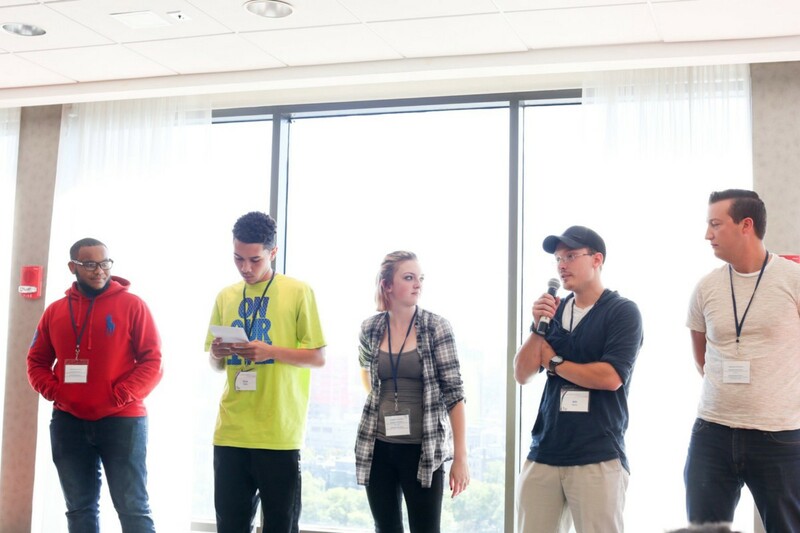 Philanthropy has a critical role in ensuring youth are actively engaged in solving the challenges of our times. We often talk about philanthropy as society’s risk capital. Nowhere is that truer than when making investments in youth. Youth do things differently. That is the point. If philanthropy is serious about equity, we must provide a path for meaningful engagement that trains youth to dismantle the structures that have maintained inequities in health and safety including housing, education, wealth accumulation, and electoral power. This report is an important first step in documenting the role youth civic engagement must play in ensuring equitable health and safety outcomes in our communities. There is also an opportunity to dive deeper into this work and give voice to the unique challenges funders face when operationalizing it. 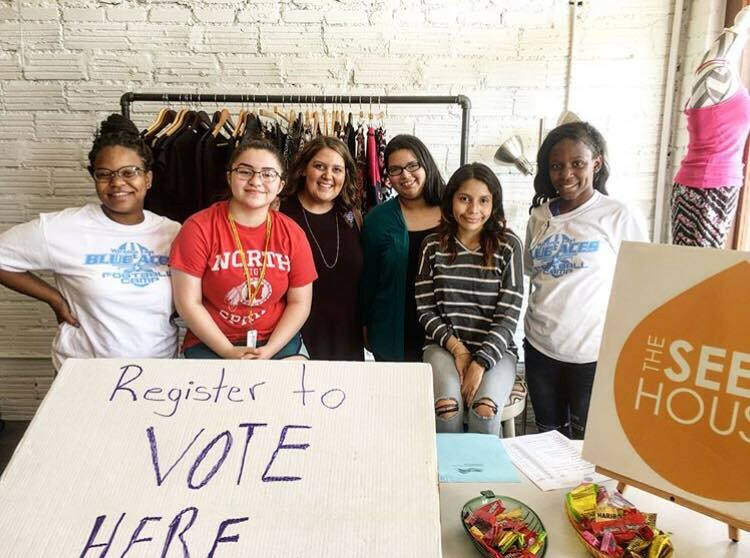 We would like to see funders who are further along in this work come together with intention to light the path for those who believe in the promise of youth civic engagement and need help getting started. Philanthropy is, first and foremost, a service profession. We exist to serve our grantees and communities and we’ll know we have succeeded if we can work ourselves out of a job. It is for this reason that philanthropy emphasizes sustainability. There is nothing that ensures sustainability more than youth civic engagement. The youth in whom we invest, support, and empower now are the adults that will ensure that our communities are safe, healthy, and equitable. We thank PACE for helping philanthropy move down a more sustainable path. 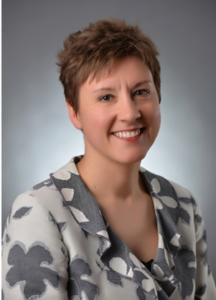 Jen Algire is President and CEO of The Greater Clark Foundation, a health legacy foundation located in Kentucky. GCF invests its resources where it can have a fundamental impact on civic and economic vitality; education; and health, well-being and quality of life. 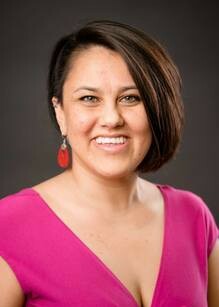 Elina Alterman is Principal and Owner of EMA Consulting, LLC and a former program officer with the Kansas Health Foundation where she led KHF’s community and civic engagement portfolio including efforts around advocacy and grassroots organizing; movement building around health equity; and increasing voting and civic participation among historically marginalized communities. Philanthropy for Active Civic Engagement (PACE) is a network of funders who believe our democracy will be healthier, more resilient, and productive with the office of citizen at its center. This diverse range of stories come from PACE members, partners, and guest contributors.